This is in real time when recorded which was requested by a student on my private live chat server. This looks but it the system is waiting for the set up to trigger a market entry. So far for the last week, the system had a 75% win ratio when taken. It is actually 81% win ration today which has been pretty good with 0.31% return since Midnite today. Note there is no leverage. Also, please ignore the video on the Asian forex cross pairs as those were invalid. My Analytics service goes deep in this type of service. It is also meant for non technical folks as well. These bots for both crypto and forex definitely work. See how this done by getting this course. This entry was posted in Bitcoin Crypto Currency, Forex, Stock News and Tips, Trading and tagged EUR HUF, ForEx, live, trading, USD HUF, watchlist on March 29, 2019 by caustic. This is an important step to improve my watchlist logic to safeguard against fast moving whipsaws. When you open any random position, it can usually happen where it moves negative for whatever reason. I have struggled with this for many months. As a result, I now log the whipsaws in my fast moving instruments in each asset class I watch. This include forex, crypto, and CFD. I like to use any potential instrument to cross reference against this list of whipsaws. I also track these whipsaws for about 6-8 hours. It seems this 6-8 parameter may need to be self adjusted depending on current market conditions. You would definitely want 8 hours in a negative moving market. If any potential instrument is not on this whipsaw list, it would then be added to the watchlist. This is all shown in this short video. This entry was posted in Bitcoin Crypto Currency, Forex, Quant Development and tagged CFD, crypto, fast moving, ForEx, safeguard, watchlist, whipsaw on December 4, 2018 by caustic. I have added all this critical content to make the big difference for automated trading in the crypto currency asset class space. This entry was posted in Bitcoin Crypto Currency, Quant Development and tagged Binance, cryptocurrency, data, downloaded, market, new, watchlist on August 26, 2018 by caustic. This entry was posted in Bitcoin Crypto Currency, Quant Development and tagged algo, automated, Coming soon, event, Manager, new, position, technique, trading, watchlist on August 17, 2018 by caustic. 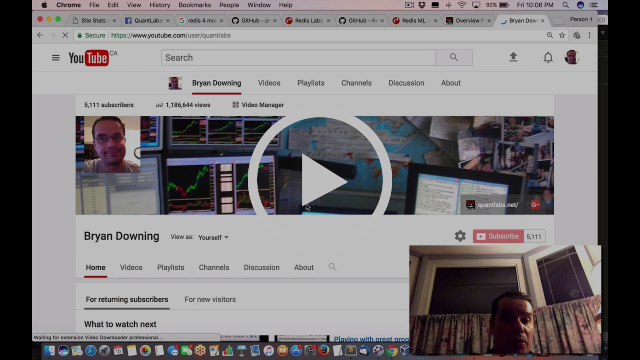 This closes out tonite for my Watchlist source code preview! Remember this watch will be the nerve center of my enter automated system! This is explained in the video above. Next Deadline for this is this is MONDAY! The original comes from here as I have replaced MongoDB with Redis NOSQL. This entry was posted in Premium Membership, Quant Development and tagged Last call, source code, walkthrough, watchlist on August 24, 2017 by caustic. My 30 source code walkthrough ‘bonus video’ will be coming tin a week roughly (as of Aug 18/2017) so keep your eyes on my emails. 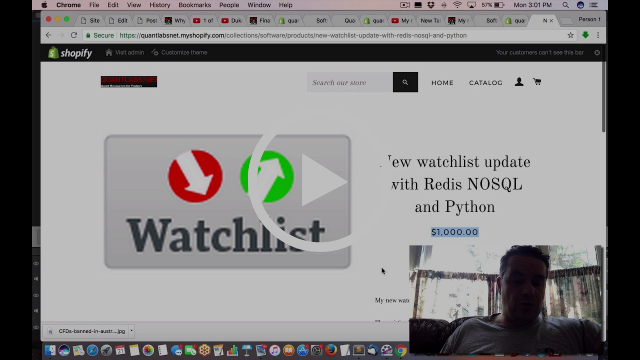 This entry was posted in Quant Development, Stock News and Tips and tagged NOSQL, Python, Redis, Update, watchlist on August 18, 2017 by caustic. This entry was posted in Quant Analytics, Trading and tagged arbitrage, charts, pair, position, spread., stock, technical analysis, watchlist on December 14, 2016 by caustic. 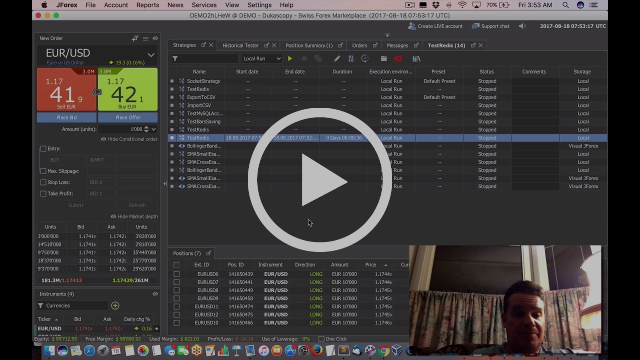 I also have a 45 minute video walkthrough demo of this for my Quant Elite members. This entry was posted in Quant Development and tagged demo, pair, Python, trading, watchlist on February 4, 2016 by caustic. This is the nerve center of our trading analytics system which will monitor when set positions on in an automated way. This entry was posted in Uncategorized and tagged automated, demo, positions, profit, trading, trading pairs, watchlist on November 23, 2014 by caustic.